India was missing good Bollywood movies production since Salman Khan’s Bajrangi Bhaijaan. But the wait is over now, in 2016. 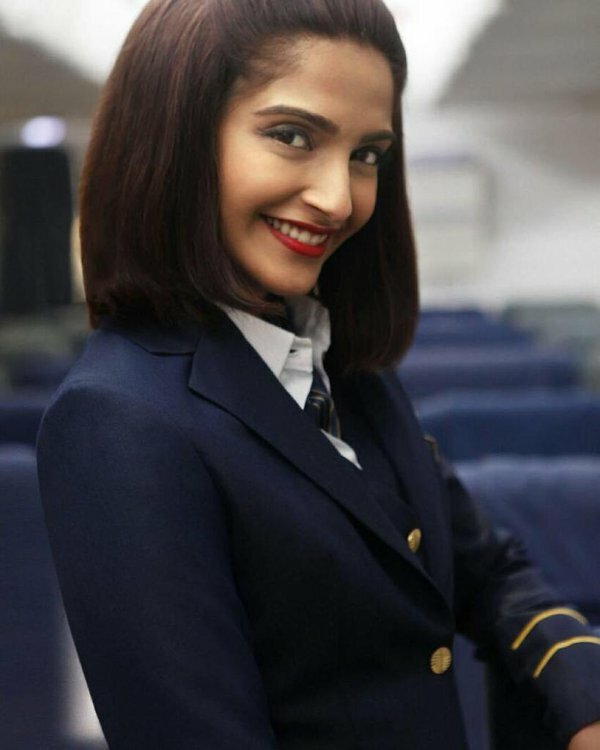 Neerja Bhanot’s autobiography movie is all set to release on the theaters. The upcoming movie starring Sonam Kapoor and Shabana Azmi will release early the upcoming year according to some confidential reports. Neerja Bhanot was Indian Flight Attendant who saved lives of nearly 400 passengers in a flight departing from Karachi of Pakistan, which was believed to be the resident of International Terrorist Daud Ibrahim by Indian Govt. Pan Am airlines, who were going through their difficult times, got their one of the plane hijacked. Pan Am Airlines had issued the following statement ‘” Neerja was called upon under the most difficult conditions, at the most difficult time, to step forward in a position of leadership. And her heroic actions were, clearly responsible for the saving of hundreds of lives”. The remake of this movie is all that depends on the capabilities of Director and co-staff. For story part, the upcoming movie ‘Neerja Bhanot’ is a sure shot hit in theaters worldwide, even in the international market.